★ EXTRA LONG WITH MORE TAPE - Covers 17 feet: 15 feet edge cushion + 8 corner cushions; 3 feet longer than other top brands! 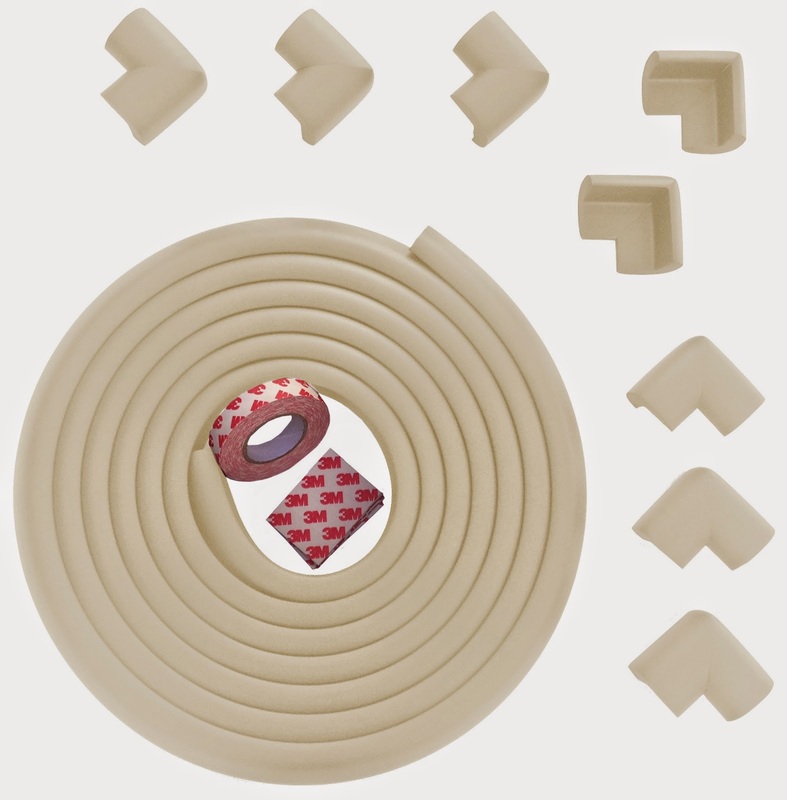 Includes authentic 3M adhesive double-sided tape: 45 feet of tape for the edge cushion and 32 tape pieces of tape for the 8 corner cushions; EXTRA 15 feet more then you need, so you won't run out during installation! ★ THICKER And MORE DENSE - Premium high-density thicker soft cushions absorb impact and protect your loved one from the hard sharp corners and dangerous edges; made from NON TOXIC ECO FRIENDLY CHILD SAFE rubber, ideal for baby proofing your home, daycares, nursing homes, preschools, schools, hospitals, offices, senior facilities and more. ★ FITS MULTIPLE USES - fits all standard size tables: round table up to 56" diameter, square table up to 47", square and rectangle table up to 36" x 60"; Ideal on coffee tables, dinner tables, office desks, kitchen countertops, TV cabinets, chests, shelves, stairs, fireplaces, hearths, walls, fish tanks and more. ★ 5 OUT OF 5 STAR REVIEWS - "I love it! It is thick enough that I don't need to continually stress over my baby. We've had it for around three months and it has saved us from a couple of head blows.... well worth it for the piece of mind." - Karen, one of the many happy mothers who chose the Bow-Tiger™ edge guard. ★ EXTRA LONG WITH MORE TAPE - Covers 17 feet: 15 feet edge cushion + 8 corner cushions; 3 feet longer than other top brands! 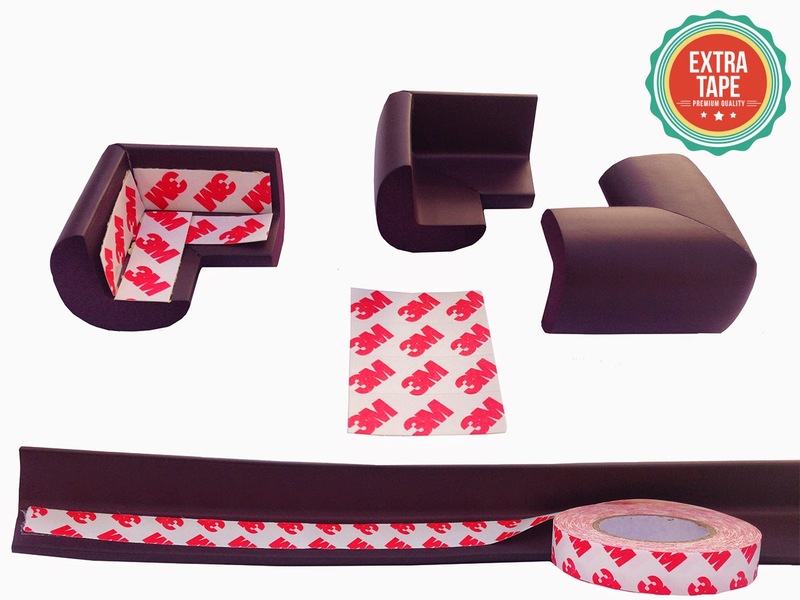 Includes authentic 3M adhesive doubled-sided tape: 45 feet of tape for the edge cushion and 32 tape pieces of tape for the 8 corner cushions; EXTRA 15 feet more then you need, so you won't run out during installation! 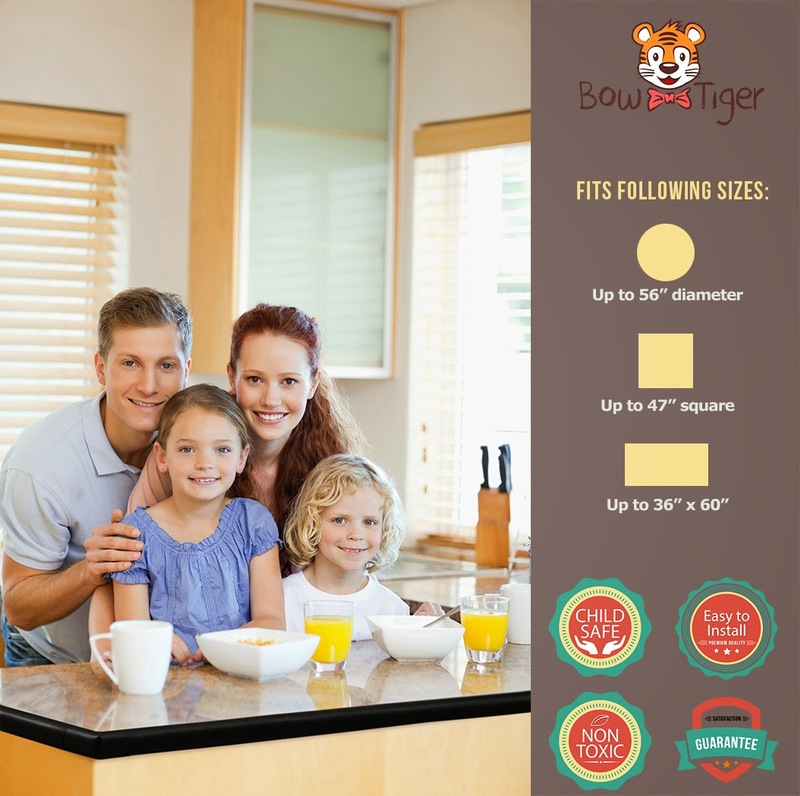 ★ 100% MONEY BACK GUARANTEE - your child will be safe with Bow-Tiger™ edge guard and corners protector, but if YOU are not satisfied for *any reason*, JUST SEND IT BACK and for a full refund. (Or Replace It, If There Is A Problem). Safety warning This product still requires appropriate adult supervision and is intended to minimise any possible injuries. I absolutely love having these Corner Guards on my coffee table and 2 end tables! They give me some peace of mind when our little one is in the living room with all these sharp corners. They stick on very well and blend in nicely with our tables. 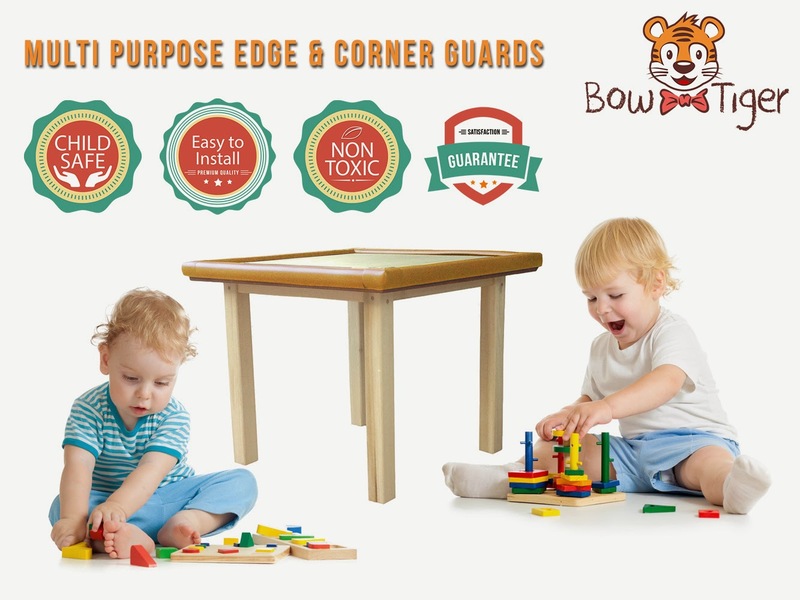 It is totally worth the peace of mind to apply these edge and corner guards on your tables to keep little heads from harm.